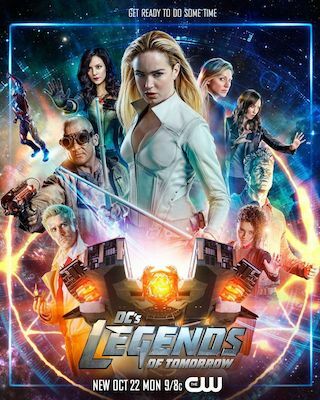 DC's Legends of Tomorrow is an American 60 minute scripted science-fiction television series, which kicked off on January 21, 2016, on The CW and is broadcast every Monday at 21:00. The show is currently in its 4th season. The CW has officially confirmed the renewal of DC's Legends of Tomorrow for Season 5. The exact release date is yet to be announced so far. Sign up to track it down. While Ray is worried about Nora, he is suddenly faced with his own problem that forces him to do the unthinkable. Nate and Zari are stuck in an awkward limbo, so Sara devises a plan to send them on an easy mission together. Meanwhile, Charlie and Rory are approached with a lucrative offer that could upend their lives. When Sara hesitates to make a tough call, Rory steps up creating a wedge in the team. Meanwhile, Ava gives Gary the responsibility of handling the Bureau performance reviews for all the Agents.